“A new story. A new ride vehicle. A new queue experience. A new entrance. The only things you’ll recognize when The Incredible Hulk Coaster at Universal’s Islands of Adventure re-opens in late summer are the world-famous twists and turns of the ride track.” These are the things Universal is touting about the completely overhauled Hulk Coaster, which has been closed for refurbishment for nine months now. 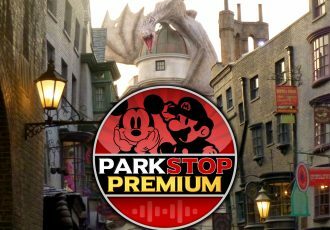 The newly updated ride will feature an incredible new entrance with a full-size statue of Hulk (no more 2D wooden cutout) and he’ll be holding up a large section of track. The track pieces were salvaged from the original ride, which is a great piece of trivia for a nerd like me. 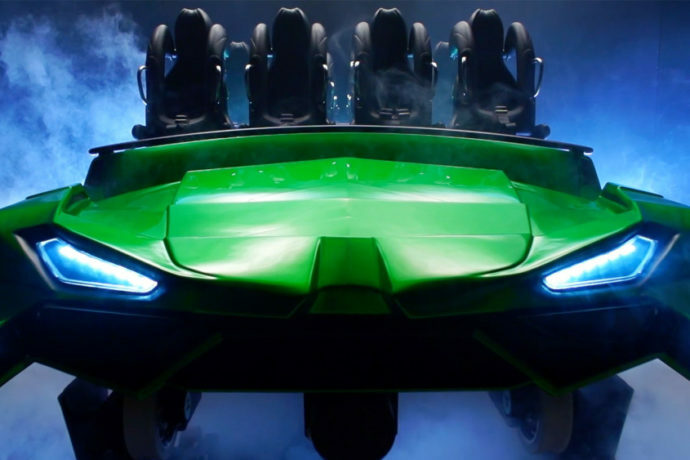 The newly designed ride vehicles will feature on-board audio, as has been rumored, featuring a new musical score by Patrick Stump, front man of Fall Out Boy. There’s going to be a new storyline and fully redesigned queue as well. See the video, concept art, and full description of all the great changes coming below and stay tuned for more construction updates coming soon! It’s the ride you love, but not like you’ve ever known it before. Stay tuned here for all the details. And I’ll see you in late summer on The Incredible Hulk Coaster! That’s all for this update. Check out our last Hulk construction update.